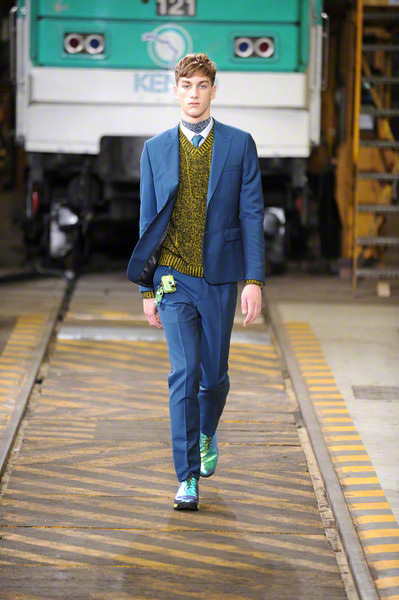 Today Humberto Leon and Carol Lim proved their the right guys for the Kenzo design job. 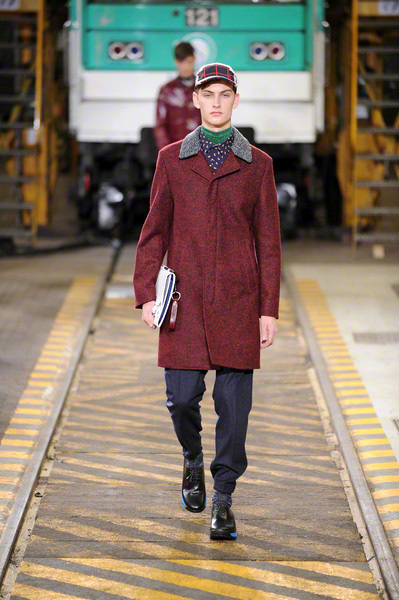 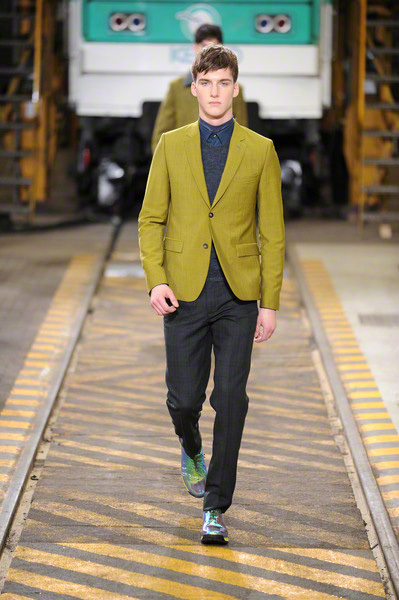 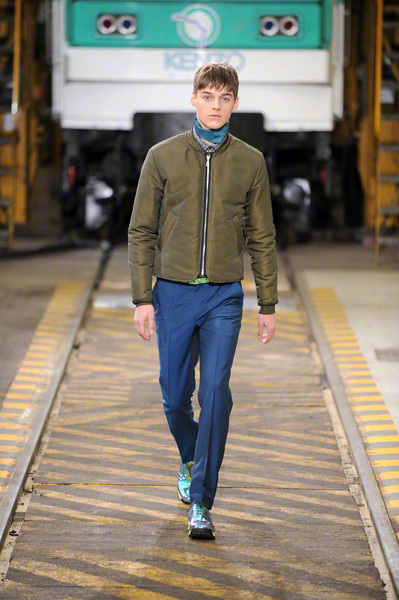 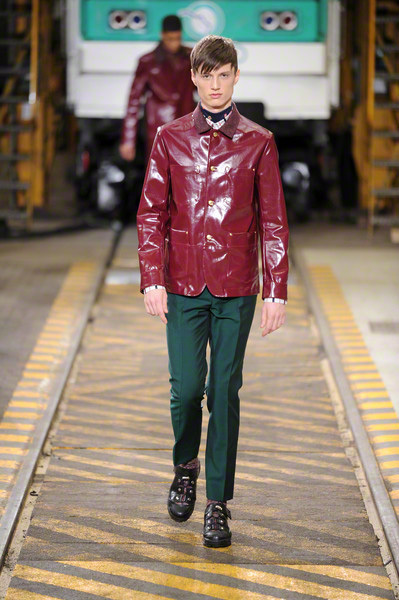 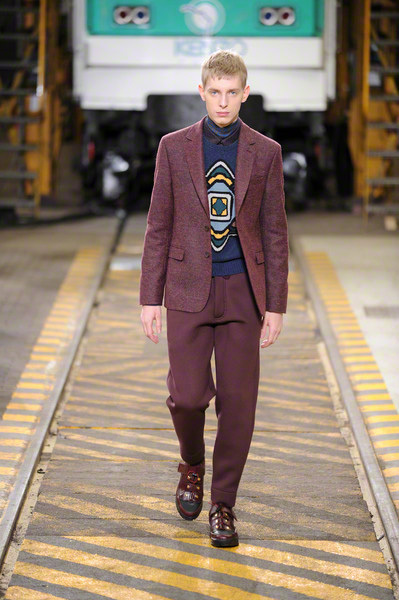 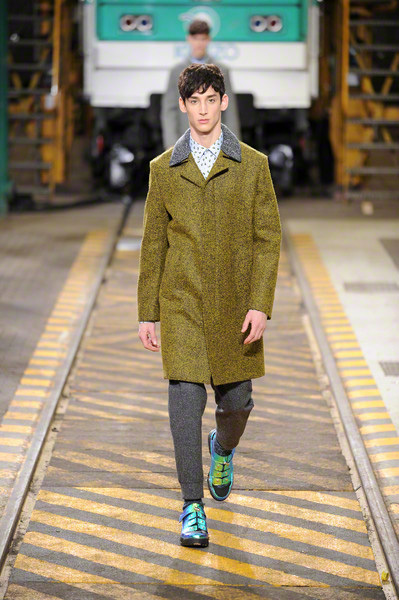 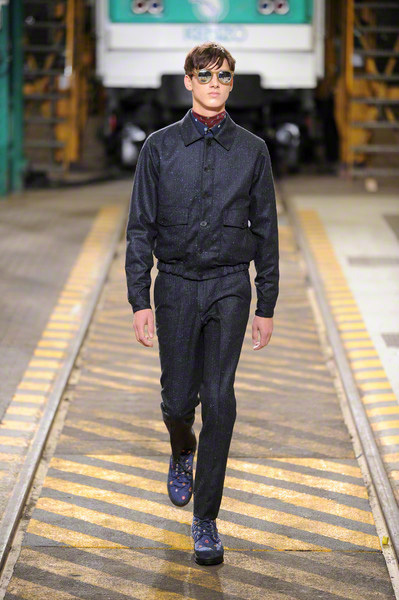 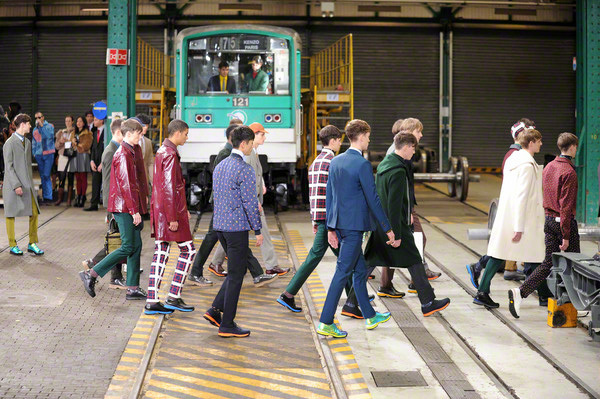 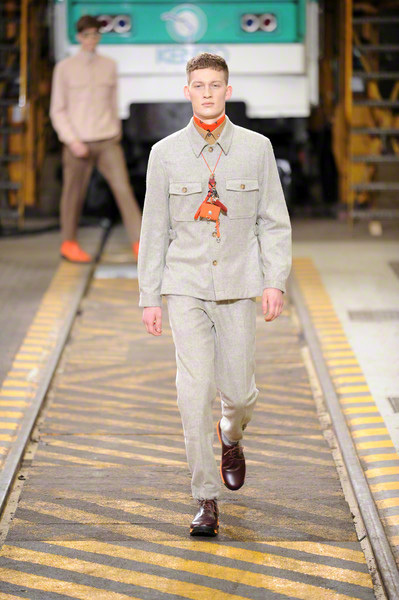 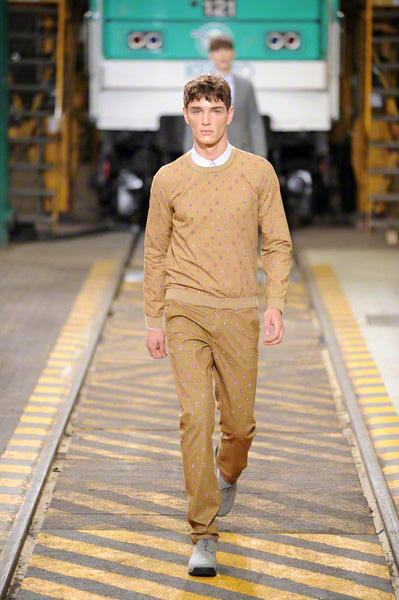 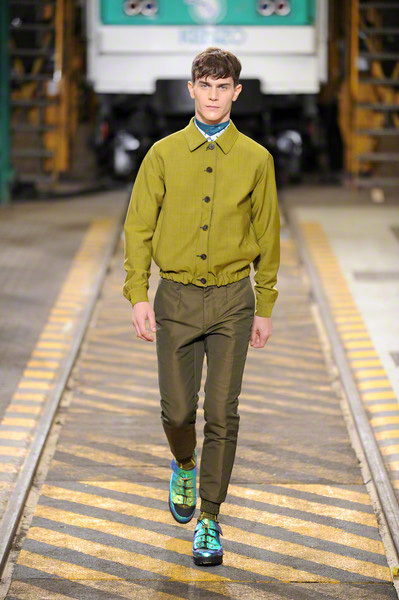 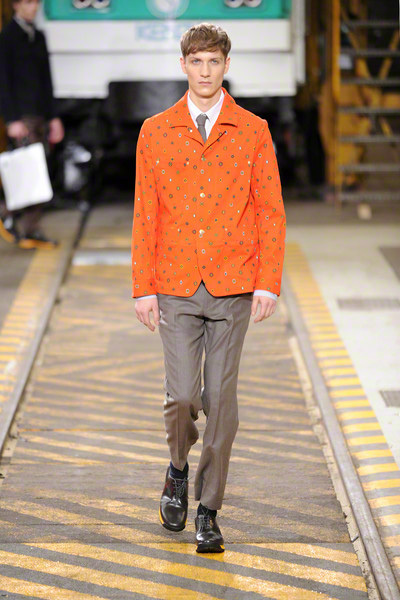 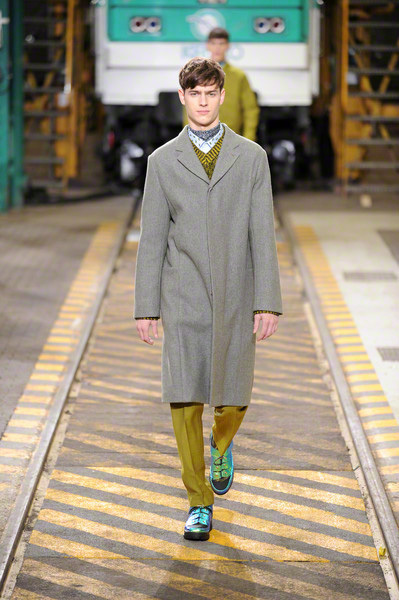 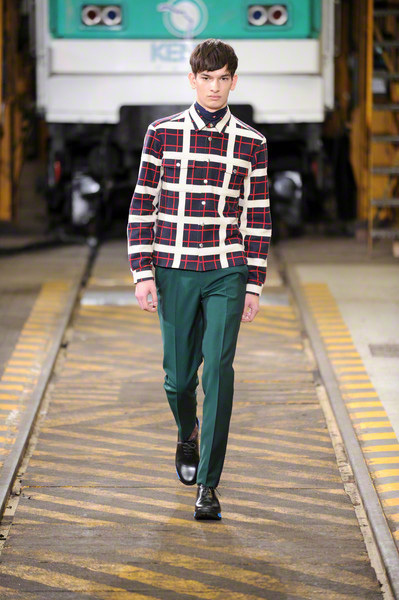 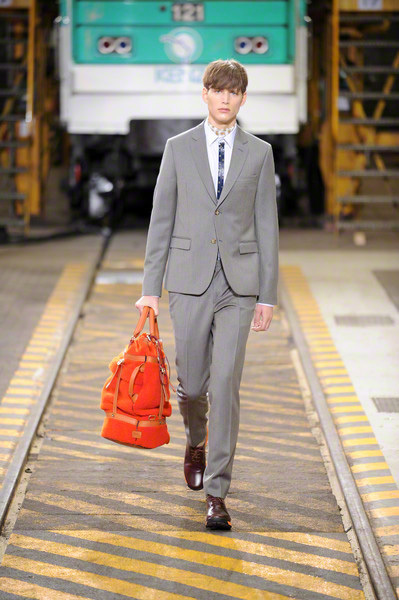 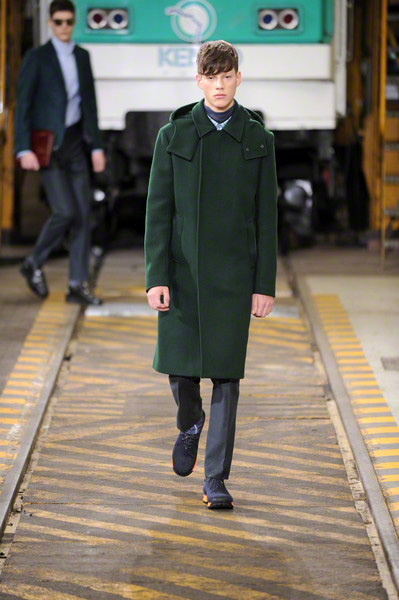 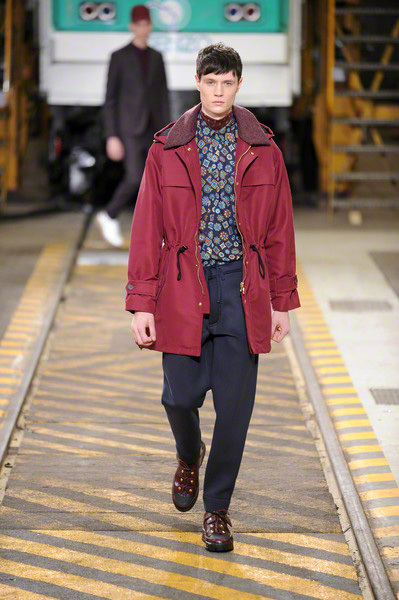 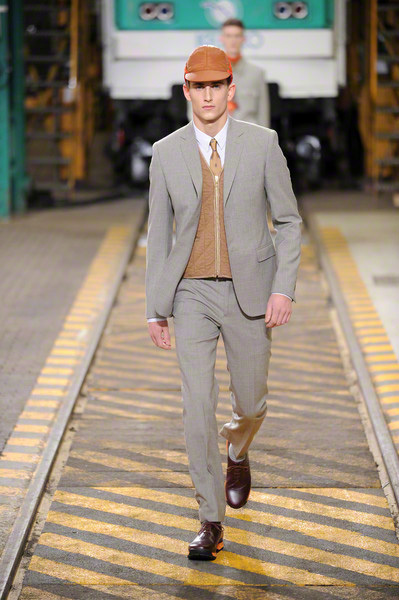 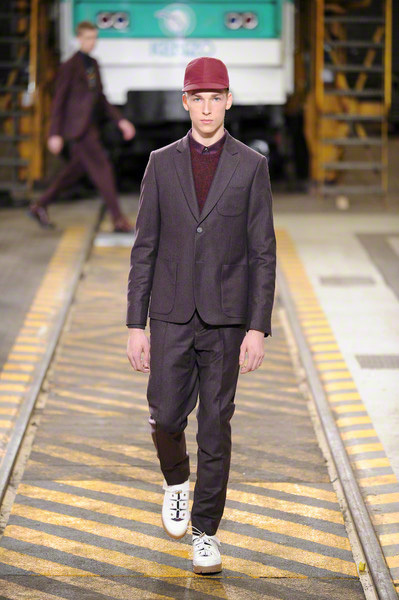 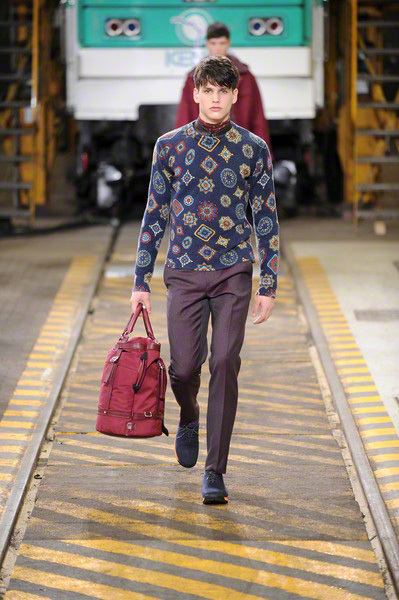 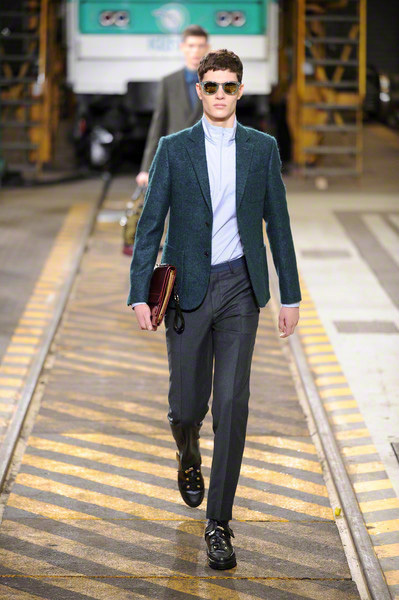 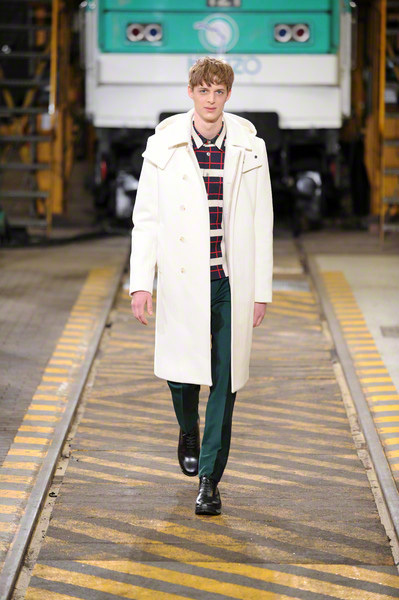 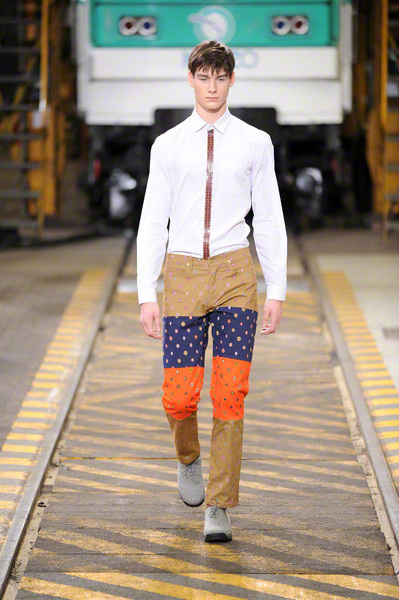 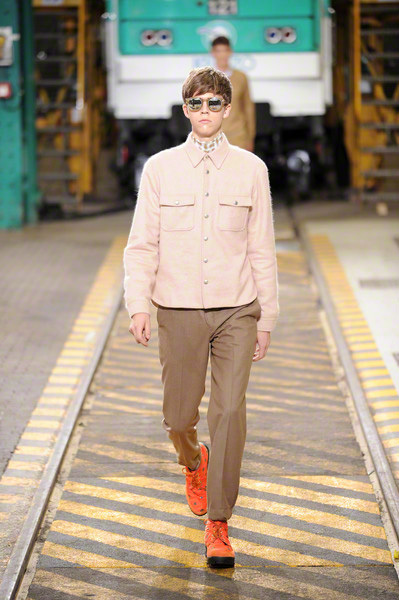 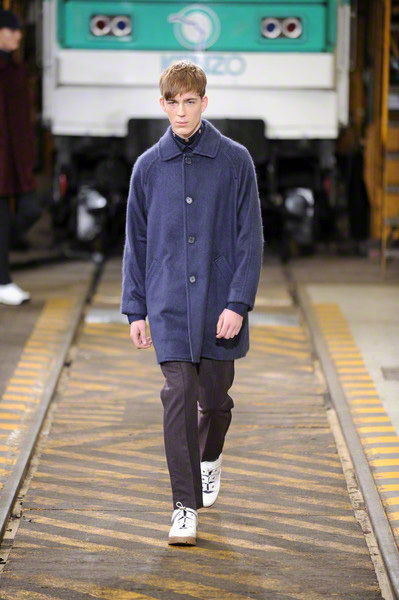 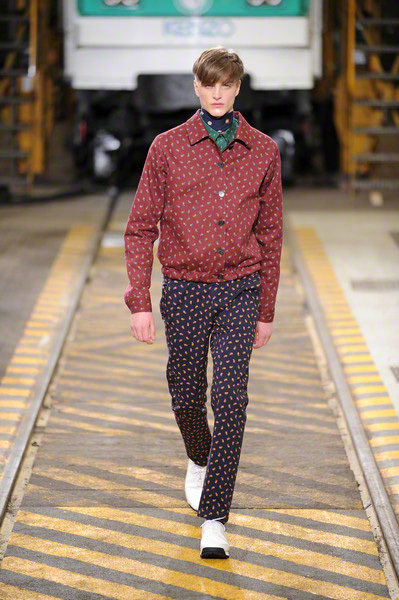 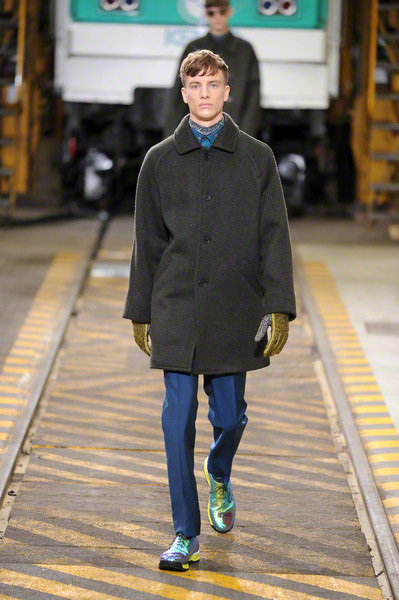 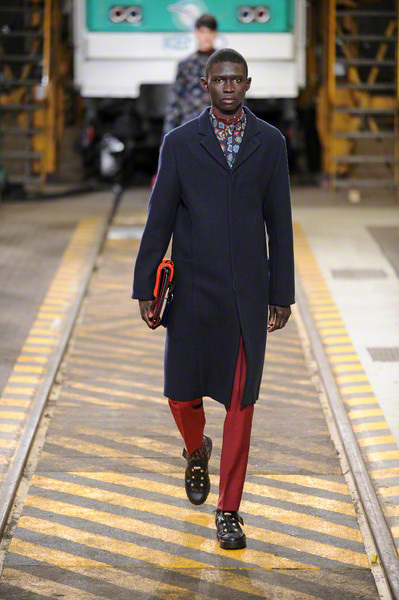 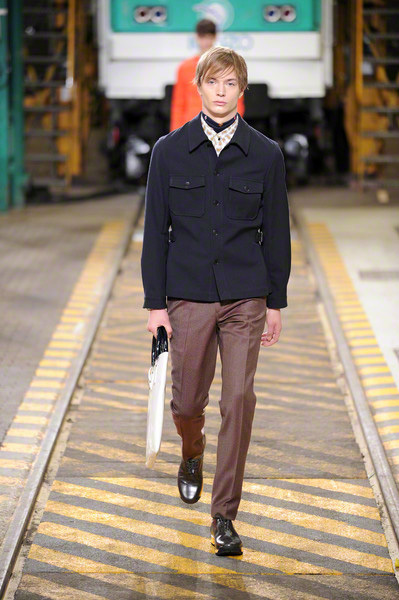 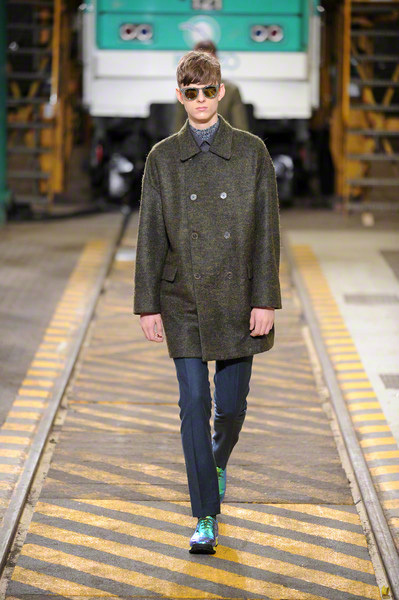 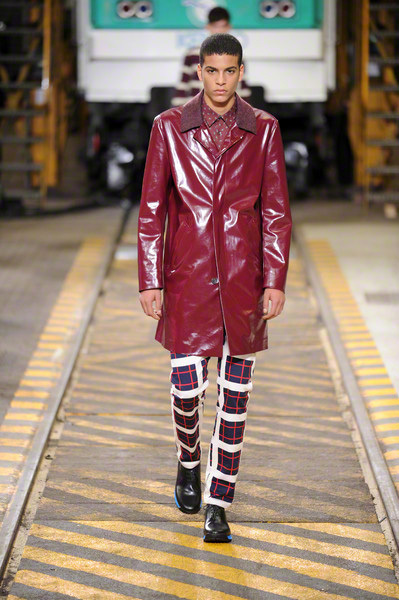 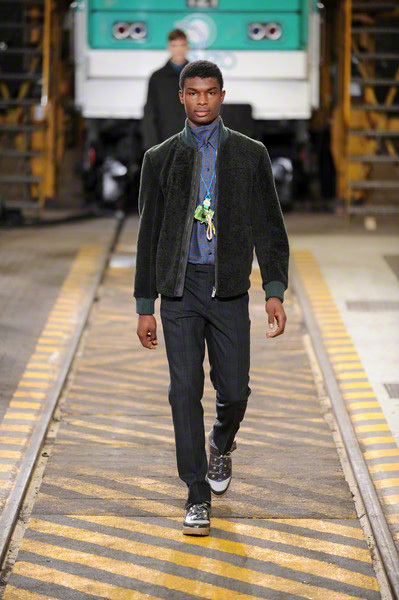 Their debut menswear collection was young, refreshing, well tailored and still had all the Kenzo-aspects in it. 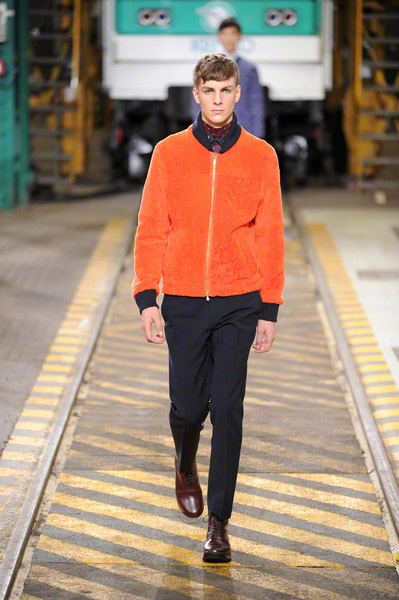 A color palette ranging from orange to moss green was their interpretation of the brand’s lively colors. 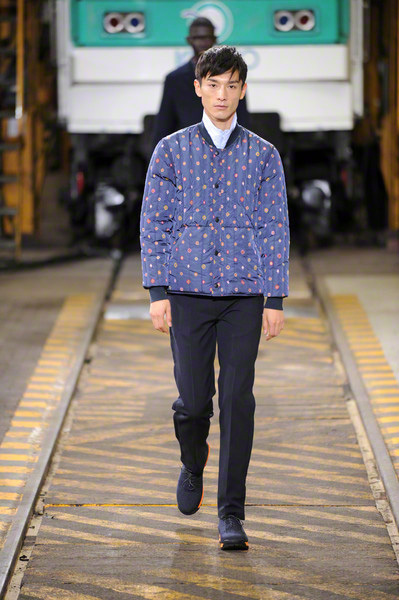 While some subtle medallion prints (on a pair of pants, a jackets, a sweater and a blouse) represented Kenzo’s signature vivid prints. 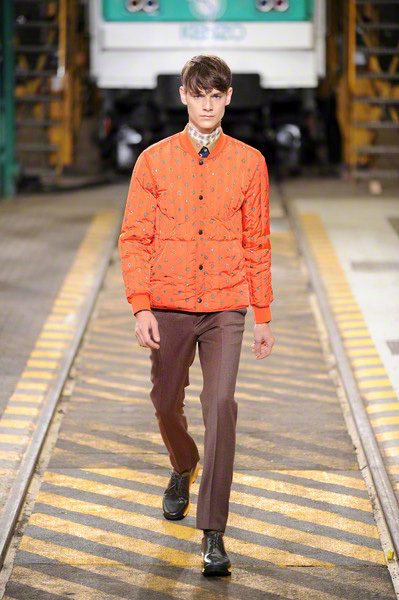 Especially for a winter collection Leon and Lim’s take on Kenzo felt fresh. 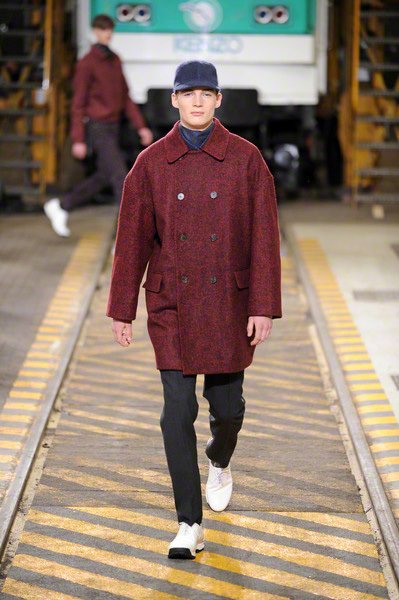 Who needs black when you have the perfect burgundy? 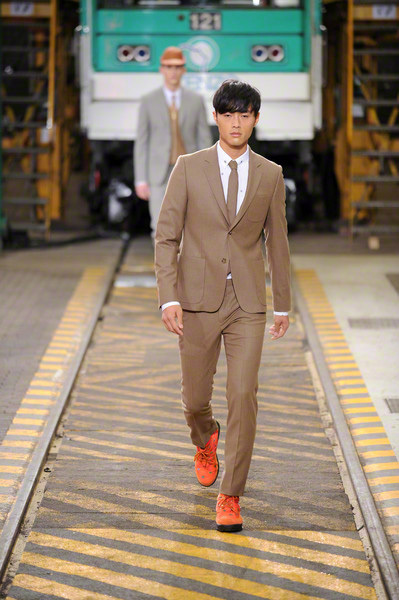 And why would you opt for white if you can produce the same item in a exquisite shade of camel.